Tired of playing the same old Pictionary, Monopoly, and Scrabble with friends and family? So are we! Come explore the rich world of modern board games with us! We’re a couple of friends who are trying to build a community around board gaming in Bangalore. We run meetups, events, and manage discussion spaces. There is a massive world of creative, challenging, and incredibly fun modern board games out there that we folks in India don’t ever hear about. We're hoping to change that. We play games like Ticket to Ride, Race for the Galaxy, Pandemic, Dead of Winter, and many more. Join us at our weekly meetup! 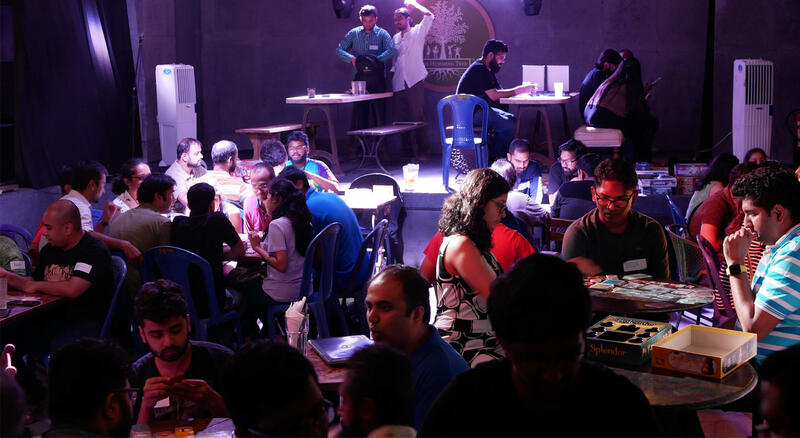 We meet up every week on Thursday at Dialogues, Koramangala to play board games. RSVP at the event below!